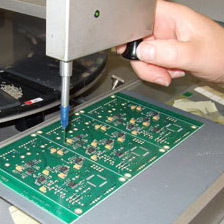 PCB Prototyping - PCB Services - Cope Technology Ltd.
Often characterised by urgency and limited documentation, prototypes are needed without delay so that firmware can be written, component optimisation checked and test equipment designed. Cope Technology is proficient with fast track prototype assembly, having manual SMT pick and place machines that do not have to be programmed or use reel quantities. Usually only requiring the parts list and Gerbers, we evaluate the lowest cost route to PCB procurement and minimize set-up tooling costs, and often obtain component samples. Feedback is given on any build issues that might affect production.